Learn how to exit when your Windows 10 stuck in Airplane mode. You can turn off Airplane mode in this case by using keyword combinations or registry edit. Airplane mode in Windows helps you to immediately disconnect all wireless communications from your device. Airplane mode is capable of turning off all the connections your device has established without wires and via Wi-Fi, Bluetooth, Near Field Communication (NFC) etc. Today, we came around a strange issue regarding Airplane mode. In this case, user turned on Airplane mode on his device but he was unable to turn it off. In other words, his Windows 10 stuck in Airplane mode, declining all the possibilities to make to re-connect the system to wireless communication. Clicking on Airplane mode button in Action Center doesn’t do anything. Also, rebooting multiple times makes no differences in situation. So how to come out of this weird situation? Well, I found two solutions for it. One is using a dedicated keyword combination, while other utilizes manipulating the registry. Both the fixes are mentioned here. This problem can be easily solved by pressing Fn key i.e. function key and radio tower symbol key simultaneously. In case if your laptop is manufactured by Dell, you may also try pressing Print Screen (Prt Sc) key along Fn key and see if it helps. The availability of radio tower symbol key might vary from keyboard to keyboard but the key exists essentially. By pressing this keyboard combination, I believe you will be able to exit Airplane mode. If this doesn’t helps, try FIX 2. 3. Right click on Control registry key and select Find. In the Find prompt, type RadioEnable and click Find Next. 4. Now Registry Editor will search for the value and you’ll be taken to the RadioEnable values one by one. All you need to do is to change RadioEnable registry DWORD (REG_DWORD) values from 1 to 0. 5. Changing the RadioEnable DWORD quite easy. Double click on the DWORD and input the Value data as 0. Click OK.
After changing all the RadioEnable DWORD values from 1 to 0 under HKEY_LOCAL_MACHINE\SYSTEM\CurrentControlSet\Control, you may close Registry Editor and reboot machine. The problem should solve after restarting device. On my surface book i had to search for Radio instead of RadioEnable and the find EnableWOW. Do I now replace the 0 with a 1 again? ^^ Is it already set to 0? Have you checked next values? I have the dell inspiron 17 5000 series and I’m having the airplane mode problem. It wont turn off. I tried to follow these steps but I cant find the RadioEnable and I rea the comments about the “search for Radio instead of RadioEnable and the find EnableWOW.” This did not work either since I cant find the EnableWOW.. Please help me. While trying to print my screen and not remembering which keystrokes to use, I hit ctrl-prt scr, then fn-prt scr, and then alt-prt scr. I saw on the screen that a screen print had been captured and thought that all was well. I did not connect the fact that I had turned on airplane mode with my attempt to print screen. Anyway, fn-prt scr was the culprit, and was the cure just now. My computer’s back with all this glorious capabilities. That’s a trick I’ll never forget. hi I cannot find an radioenable. Please advise. ^^ Go ahead with FIX 1. Has there been any development on this? I have tried multiple fixes that updated root issues and still has not fixed the connection. My Dell desktop is stuck in airplane mode. I changed all RadioEnable entries to 0 and restarted. But sadly, it’s still stuck. I should have added that I have downloaded latest adap or drivers on my laptop and installed them on the desktop. In Device Manager, all are said to be performing normally. Yet nowhere else on the system does it detect them. It’s like there is no hardwear in the chassis. Fix 1, is working with Dell computer. Thank you! It worked! My Toshiba laptop had a bit of trouble rebooting afterwards, but seems good now with wireless working! Neither fix worked for my Dell. Tried the option of setting RadioEnable to 0 and it does not work. Meanwhile even tried updating driver files and it is still stuck on airplane mode. Any other suggestions, apart from reinstalling the OS again???? I just tried these and it’s still not working and after calling Microsoft I have to wait 24 hours or pay $100!!! Neither of the fixes work for me. 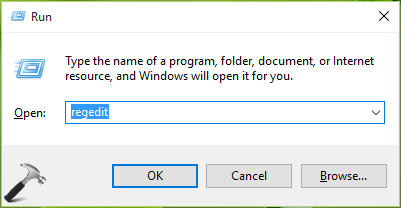 Using HP laptop with Win 8.1 and when I opened the regedit the key value was already at 0. Problem persists with airplane mode toggling on and off. Very irritating. Please help. ^^ Try Refresh. it won’t affect your data. Doesn’t work on surface pro 2. Terrible machine. I’ll NEVER buy another one. This one is going in the trash. I have a toshiba laptop with windows 10. I’ve tried all of the above. Nothing seems to help fix the problem to get it out of airplane mode. Anything else I can try? I couldn’t find “radioenable” in my windows 10 registry but I could find “turn flight mode on or off” in HKEY_CLASSES_ROOT. Is that the same thing? way to complicated for this old man. You are brilliant!!! you need a hug, and a high five!!! Thank you!!! Fix #2 worked for me…after restarting, I was then able to turn airplane mode off! Thank you so much! I have a Dell Latitude E6430 and am using Windows 10. Currently the computer is stuck in Airplane mode. I tried both solutions above without any luck. Can you offer any other suggestions? This problem has been around for several years, has there ever been a final solution by Microsoft or Dell? ^^ Thanks John for your comment. You may try Network Reset next. Also make sure you’re on latest version. Tried both fixes and neither worked. Airplane mode button is still gray and stuck on. Refreshed and restarted with no change. Looking for recommendations. I turn on my HP and it locks in password mode. It show an airplane mode in a box in lower right. Will not take a password. My HP began running a windows update a couple of days ago and now I have this problem. I can not get past the window asking for password and have no option to get the system out of airplane mode. Help! Then opt for Reset and make sure you choose to keep files and settings. I tried all options including ResEdit and Bios changes. Nothing will turn off airplane mode. Tried but would not work. Received the response when changing 1 to 0 in Radio Enable that I could not edit Radio Enable-error writing value new content. Whatever that means. Tried both and still frozen in on position. I have a cell inspiring 17 if that makes any difference. I tried both recommended fixes, as well as several other suggestions, and none of them has worked. Airplane mode on my ASUS laptop is still locked, neither WiFi nor Ethernet is displayed in Network & Internet and there are no Wireless devices shown. Thanks for trying to help anyway. ^^ Jim, can you try Network Reset and see if it helps you!